President Muhammadu Buhari at the (National Executive Committee) meeting which held on Monday, April 9, 2018; Buhari declared that he would be running for the presidency in the forthcoming general election. According to Special Adviser to the president on Bahir Ahmad on New Media, Bashir Ahmad made this revelation at the NEC Meeting held in Abuja on Monday. Kaduna state governor, Nasiru El-Rufai was not left out in what seems like he was the first person to break the news using his twitter handle to announce President Buhari’s re-election bid. As 2019 Elections is in the offing many political parties both the ruling party and the oppositions have commenced preparation targeting forthcoming election. And these would have brought about popular consultation by political parties from different quarters of the country having their political strategist and propagandist on the ground to design various roadmaps that could ensure victory for their parties in 2019 elections. Particularly, the ruling party APC. President Muhammadu Buhari who gave a bold hint that he will seek re-election next year has renaming former Mr. Rotimi Amaechi, Minister of Transport, as the Director-General (DG) of his campaign. The appointment was made at a secret meeting, sources have told SaharaReporters. Mr. Amaechi was picked over Mr. Rochas Okorocha, governor of Imo State, who was said to have actively sought the position. Mr. Amaechi held the position in 2015. Which saw President Buhari won the presidential election defeating an incumbent President whose party has been in government for 16 years. Just today, A senior lawyer, Festus Keyamo, SAN, has been appointed the Director, Strategic Communications, (Official Spokesperson) for the President Muhammadu Buhari’s 2019 presidential campaign. It has been a common political practice to witchhunt and blackmail fellow political contenders. Especially, politicians from different camps throwing tantrums that one another to score political points and manipulate the populace to turn bad eyes on some sets of politicians by calling them names based on their previous actions. The All Progressive Congress has started beating drums of political blackmail and witch hunting aiming at the major political party in opposition (PDP) by releasing the infamous looters’ list calling out Politicians in opposition that seizes to defect to the ruling party (APC) as corrupt Politicians without mentioning the majority of former (PDP) members that joined the APC before and after 2015 Elections. According to a statement signed by its National Publicity Secretary, Kola Ologbodiyan, the PDP accusing the ruling party of not being ready to fight corruption, adding that the APC-led administration’s obsession with the PDP was an indication that the party (APC) is out to ”scandalise, persecute, and bring down its perceived opponents”. We should be ready to see more of these in days to come. Statistics have shown that Nigeria’s economy is doing well. The President said apart from saving $500m in the Sovereign Wealth Fund and investing another $500m in the SWF, the country’s external reserve presently stands at $35bn, the highest in the past four years in 2017. Recently, it was reported that the nation’s external reserves have hiked up $40.4bn. And presently, the price of crude oil has risen from $68 to $70 per barrel in the international market as a result of rising demand, thus raising hope for the implementation of the nation’s N8.6 trillion 2018 budget. However, the federal government of Nigerian through the minister of labour and Employment, Chris Ngige has promised the implementation a new national minimum wage starting from the third quarter of 2018. So, Nigerians should be hopeful of a better economy because enough money will be in circulation just for political reasons. Also, they should not forget it is all political gimmick used by politicians to walk their way back to power in the forthcoming general election. These have been experienced in the history of Nigeria’s Political dispensations; government agencies and parastatals decides to go on break because an election is drawing nearer and all proactive measures must be taken to ensure party success in the poll. These can never be overemphasised political coalition and consultation with Nigeria’s political heavyweights has been a practice of modern democracy whereby a political party seeks support through forming an alliance with a minor or major political party in other to win an election. And this was evident in 2015 general election when APC formed an alliance of Nigeria’s three biggest opposition parties – the Action Congress of Nigeria (ACN), the Congress for Progressive Change (CPC), the All Nigeria Peoples Party (ANPP) – and a faction of the All Progressives Grand Alliance (APGA) – merged to take on the People’s Democratic Party. We should be expecting a grand political alliance come 2019 elections. It is no longing a new development in Nigeria’s Political terrain that the reign of thugs as a political machinery to intimidate the opposition and possibly the voters before and after an election has become a fashionable practice amidst our politicians. Also, they serve as their security details, leaving the Nigerian Police and other security operatives helpless. However, in the past, we have seen and heard instances where politicians provide weapons for political thugs to cause an uproar in the society. Recently, in a News Report, Operatives of the Nigeria Customs Service (NCS) in Lagos intercepted 49 boxes containing 661 pieces of pump action rifles concealed with steel and other merchandise goods. Nigerian Customs Service made a similar seizure 1,100 pump action rifles loaded in a 20-foot container; which Bill of Lading indicated that the contents were wash-hand basins and water closets. These developments have left Nigerians with no doubt that the pump action importation was a preparation for 2019 elections. Election period has always been a money-making period for the media. And it would definitely be a great period for the media. 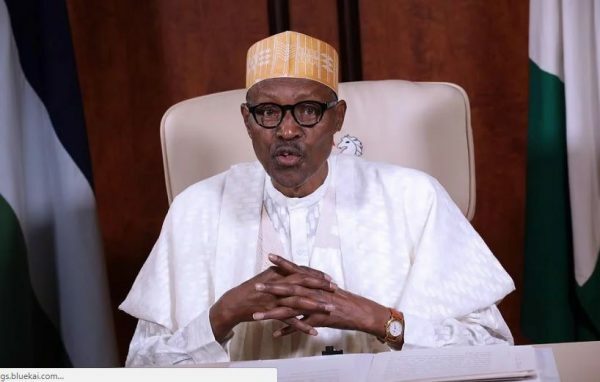 The post 7 Changes To Experience As President Buhari Declares Second Term Ambition appeared first on LATEST NIGERIAN NEWS BREAKING HEADLINES NEWSPAPERS.